The DPW and Park & Recreation have developed a parking pattern at the DeFazio parking lot with the addition of some orange barriers. 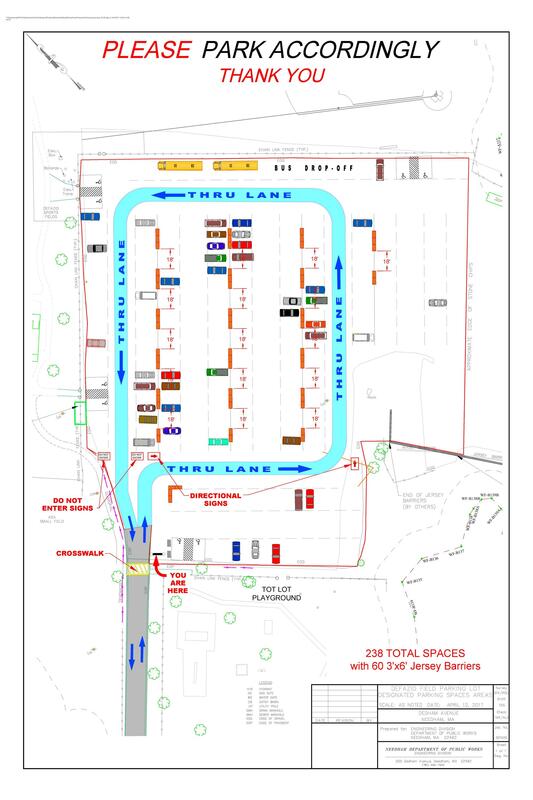 The diagram shows the pattern for parking and for driving through the lot for drop-off. Between the barriers, some granite curbing has been placed and marked with orange paint. We’ll look at purchasing some additional barriers so that the granite curbing can be removed. Please reduce vehicle speed as you enter the driveway from Dedham Avenue and progress through the lot. Thank you for your patience and your support of the improvements.